events and updates by community artist and sculptor elizabeth lundberg morisette. For more information and images you can visit my website elmorisette.com To purchase work visit my shop. Lauren Reader compiles stories from her everyday studio practice that includes inspiring other artists by using examples of my work. Lovely to be included. Morisette's work is featured in this publication surving Textile artists working in many different fiber techniques; weaving, embroidery, felting, quilting, etc. "World Bank" is featured in this book, part of the popular 500 series by Lark Books. Check out my work in "1000 Ideas for Creative Reuse". Including "Twist Off" right there on the front cover!! 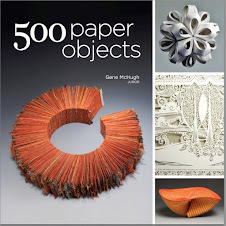 Four of my works are featured in this catalog, including the "Juror's Award" for "Sugar and Spice and Everything Nice".